So don’t quote MLK unless you’re quoting MLK because he made white people feel uncomfortable about not doing more to fight racism? No. Don't quote MLK to justify inaction or, worse, border walls a la Mike Pence. The article really makes it hard to glean that from it. Is there some kind of assumed shared wave length about this? Or does it just assume we all know these people who have been quoting MLK to justify inaction / have read the Mike Pence story? I'm honestly curious Matt, are you unaware of the behaviors the article mentions? 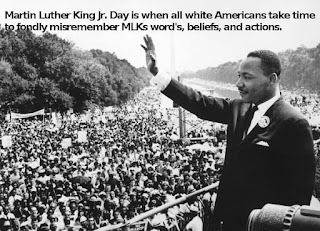 Have you never seen MLK used by white people to SHUT DOWN conversations about racism? Have you never seen them stick to certain quotes about love or the arc of history to try to defuse legitimate anger. This isn't about "wavelength." Dozens of similar articles come out every January. This is an endemic problem. You don't have to know the Pence story (I actually didn't at the time I wrote this because it hadn't happened yet). 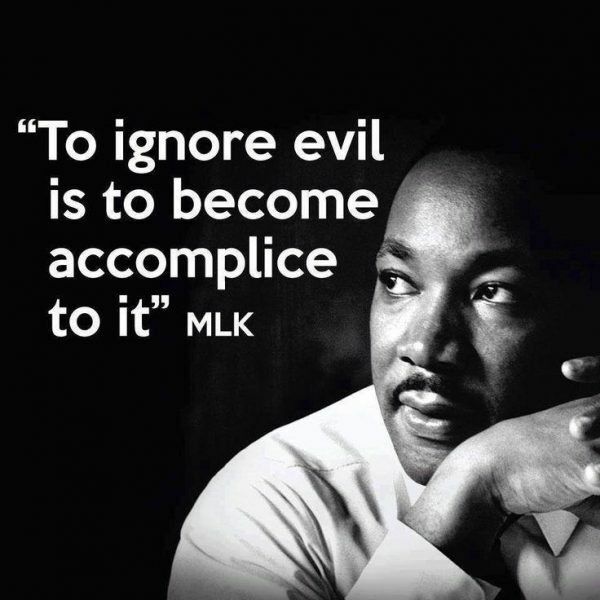 You don't even have to know people who quote MLK to justify their inaction (though that seems kind of unlikely). You just have to know OF them.